The same team that brought you the award winning Crosswater golf course brings you the Caldera Links and Golf Park, a family-friendly, 9-hole golf course that makes the game of golf approachable and enjoyable. Developed by renowned architect Bob Cupp, along with Sunriver’s own Jim Ramey, Caldera Links includes tour quality bent grass greens and bluegrass tees which are groomed daily. 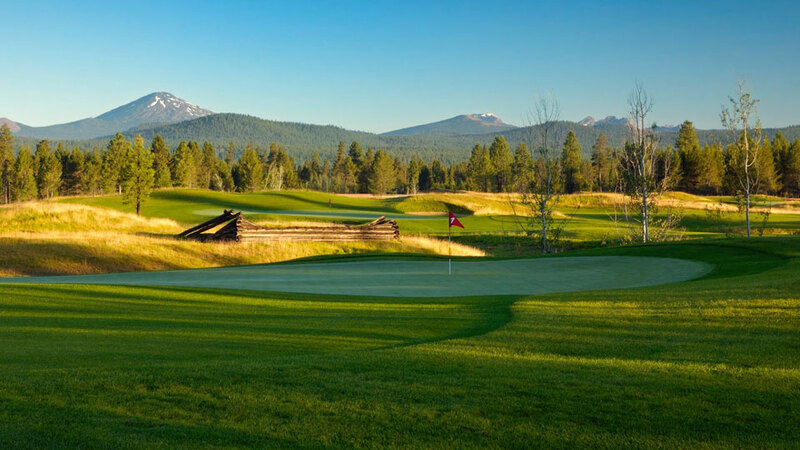 Holes on the course, located near the resort community of Sunriver south of Bend, range from 60 to 185 yards in length, making it the perfect course to hone your skills or introduce your children to the game. Caldera Links is reserved exclusively for Sunriver Resort guests, Caldera Springs homeowners and Crosswater Club members. It was named one of the Top 10 Destinations for Famiy Gold by Golf Digest in 2016. Dress code for Caldera Links is resort casual. A putting/chipping green available and come prepared to put in some miles; the course is walking only; pull carts are available. A limited number of Golf Boards are also available. This course is open seasonally to call ahead for tee times and dates.